About 50 miles north of Ormond Beach you’ll find St. Augustine. It is the oldest continuously occupied European-established settlement in the United States, founded on September 8, 1565, by Spanish admiral and Florida’s first governor, Pedro Menéndez de Avilés. 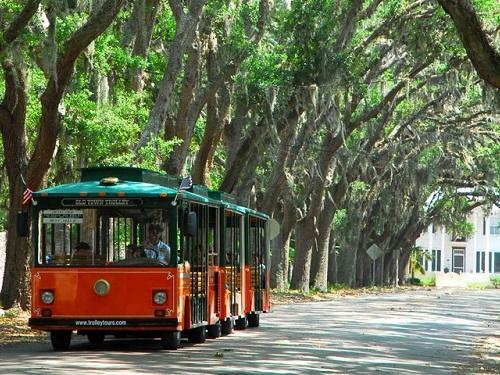 Known as the Nation’s Oldest City, St. Augustine has a rich historic district with cobblestone streets, galleries, quaint cafes, bars, and unique shops, many built hundreds of years ago from sea shells and coral. Over the years, notable residents have included Tom Petty, Ray Charles, Steve Spurrier and Sinclair Lewis. With 43 miles of pristine beaches, it’s easy to see why so many come to visit and some decide to stay. Visitors and tourists find that St. Augustine is the ideal location for adventure and family fun. Fishing, diving, surfing, parasailing and other water sports are readily accessible. Helicopter tours are spectacular for special events or clear days when you want to see the amazing stretch of beach between Fort Matanzas, south of St. Augustine, and the Castillo de San Marcos. Castillo de San Marcos – It may not be surprising that Castillo de San Marcos actually took 23 years to build (from 1672 to 1695). Numerous historic events have taken place within the walls of this ancient stalwart including the imprisonment of Seminole tribe leader Chief Osceola after he was captured in 1837. Fabricated of coquina, a virtually indestructible limestone comprised of broken sea shells and coral, the walls of the fortress remained impenetrable through 300 years of enemy shelling and pounding by violent storms. 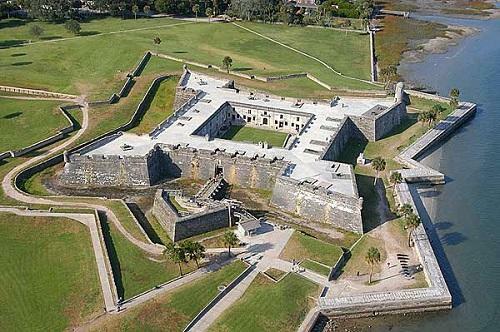 Castillo de San Marcos retains its original cannons, and cannon demonstrations take place daily. 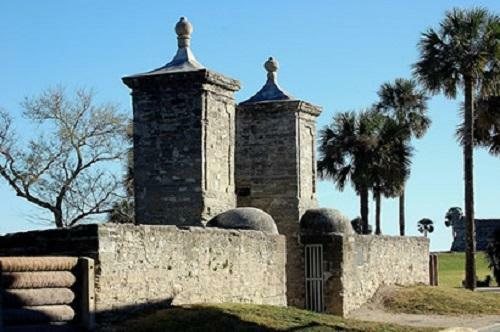 Fort Matanzas – Built in 1742, it represents a well-preserved masonry watchtower fort built by the Spanish. By providing a perch to observe enemy vessels approaching from the south, the fort played a strategic role in warning St. Augustine of potential enemy advancements from the south via the Matanzas River. Fort Mose State Park – Founded in 1738, Fort Mose is one of the original sites on the southern route of the Underground Railroad and was the northern defense of St. Augustine. It is the site of the first free African settlement and is now in the Florida Park System. Launch your kayak, have a picnic and soak in the history. 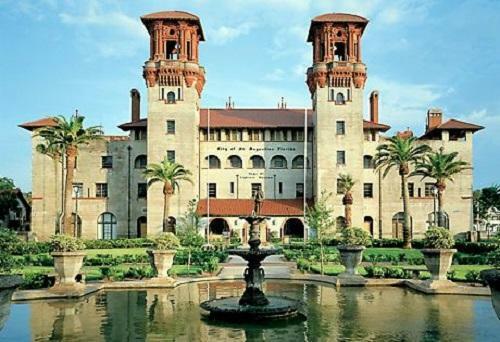 Lightner Museum – History buffs will adore the many museums in the area. The Lightner Museum is among the most unique, featuring an intriguing array of items, from shrunken heads and mummies to stunning collections of stained glass and crystal. Visitors can still see evidence that the ancient Spanish city was once surrounded by strong walls. The Old City Gate is a noted landmark in St. Augustine. Constructed of coquina in 1808, the gate columns still stand today and open onto the northern end of St. George Street which leads through the heart of the old city. 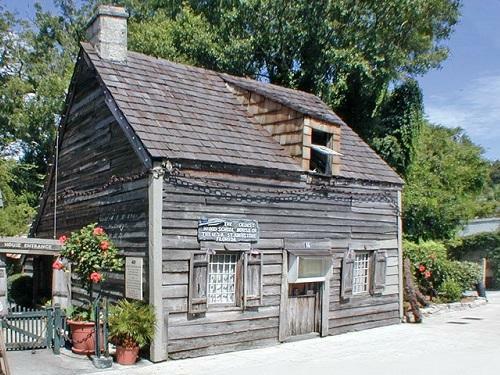 St Augustine is also home to the oldest wooden school house in the United States. Located near the City Gates, The Old School House was constructed of red cedar and cypress and put together with wooden pegs and handmade nails. It was built over 200 years ago, while Florida was under the rule of Spain. Want to try something different? St. Augustine Historic Tours offers fun ways to learn a little history and find all of the best places to eat in drink in St. Augustine. Options including food tours, pub crawls, pirate tours, paranormal tours, and scavenger hunts. Visit www.staugustinehistorictours.com. Interested in the ‘darker’ side of St. Augustine? Various ghost tours are offered throughout the older parts of downtown St Augustine. Take a ride up to one of the town’s most haunted buildings, The Old Jail, or go on a haunted Pub Crawl to explore the town’s most notorious haunted taverns. Ghost Tours of St. Augustine teamed up with the Nao Victoria Foundation of Spain to offer private, lantern-lit ghostly walking tours which include a night-time visit to authentic, wooden replicas of historic 16th century Spanish vessels. Professional ghost hunting guides tell stories that are researched through historic libraries, old church documents, diaries and personal interviews. Visit www.ghosttoursofstaugustine.net. If the kids aren’t quite ready for a ghost tour, try Ripley’s Believe It Or Not. The “Odditorium” features over 800 odd and unusual exhibits including shrunken heads, a bone motorcycle, a spinning vortex, and the largest operational erector set Ferris Wheel. Ripley’s is fun, entertaining and amazing for all ages. St. Augustine is a short 45 minute drive north on A1A from Ormond Beach. If you are coming to Spinnaker Resorts’ Royal Floridian or Royal Floridian South, set aside a day to go exploring. For more information about St. Augustine, visit www.oldcity.com.